The 1st Continental Artillery Regiment also known as Harrison’s Continental Artillery Regiment was authorized on 26 November 1776 as Colonel Charles Harrison’s Continental Artillery Regiment. As originally organized, the regiment comprised 10 artillery companies from Virginia. Two of the artillery companies existed since early 1776. The regiment was first assigned to the Southern Department, but in March 1778 it was reassigned to George Washington’s main army. On 10 August 1779 the unit was renamed the 1st Continental Artillery Regiment. It continued to serve with the main army until April 1780 when it was transferred to the Southern Department. In May 1780, Maryland artillery companies formally joined the regiment, making a total of 12 companies. On 1 January 1781 the regiment was reorganized with 10 companies. Furloughed in the summer of 1783, the regiment was disbanded in November the same year. Harrison’s Continental Artillery Regiment became part of the Continental Army on 26 November 1776 with Colonel Charles Harrison as commanding officer. The regiment consisted of two companies that were previously in existence. 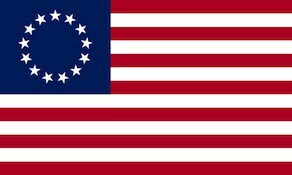 The first was the Virginia State Artillery Company which was authorized on 11 January 1776 and organized in the spring of that year at Williamsburg, Virginia. It became part of Harrison’s Regiment on 26 November. The second was the Virginia Continental Artillery Company which was created on 19 March 1776 and formed in the summer of 1776 at Williamsburg. It joined Harrison’s Regiment on 27 November. Harrison’s second-in-command was Lieutenant Colonel Edward Carrington. The regiment defended Virginia during the remainder of 1777. Each artillery company was composed of four officers, one sergeant, four corporals, four bombardiers, eight gunners, and 48 matrosses. This differed from the organization in the other artillery regiments. The regiment was initially assigned to the Southern Department. On 13 March 1778 it was transferred to Washington’s main army where elements fought at the Battle of Monmouth on 28 June 1778. In 1778, three 106-man Maryland artillery companies joined the regiment on a provisional basis. The 1st and 2nd Maryland State Artillery Companies were authorized on 14 January 1776 and joined by the 3rd Company on 23 October 1776. They joined the main army on 22 November 1777 as the 1st, 2nd, and 3rd Maryland Continental Artillery Companies. On 9 May 1780, the 1st Maryland Company formally became the 11th Company in the regiment and the 2nd and 3rd Maryland Companies became the 12th Company. The four artillery regiments received numbers on 10 August 1779. Two boards of generals determined that the artillery regiments of John Lamb and John Crane could not trace continuity from Henry Knox’s old Continental Artillery Regiment. Therefore, Harrison’s Regiment became the 1st Continental Artillery Regiment while Lamb’s was renamed the 2nd Continental Artillery Regiment and Crane’s was numbered the 3rd Continental Artillery Regiment. The regiment of Thomas Proctor became the 4th Continental Artillery Regiment. Henry Knox, Washington’s artillery chief, planned to have four 3-pound or 6-pound cannons attached to each infantry brigade. Though Knox preferred the more versatile French 4-pound cannon, he had to abandon a plan to adopt the piece because so much ammunition and material for the other guns were available. The army also maintained an artillery park of two 24-pound cannons, four 12-pound cannons, four 8-inch howitzers, eight 5.5-inch howitzers, and 10 smaller field guns. Knox rotated the artillery companies between infantry brigades, artillery park, and garrisons so the men could be sufficiently trained. He discouraged artillery duels and encouraged his artillerymen to reserve their fire for infantry targets. This tactic proved very effective at Monmouth.